Adopting a cloud-based EHR can increase security and reduce operational costs for a medical practice — here’s what you should know if you’re considering making the switch. According to Black Book Rankings, roughly 83% of small, independent medical practices claim that cloud-based electronic health records (EHR) is one of the most important technological developments for practice management today. A quick look at the numbers confirms this notion: 82% of small practices in urban areas have already switched over to cloud-based EHR systems, and 81% of practices that have made that switch report being satisfied with the technology. If you’re a small to mid-sized practice, chances are you’ve either adopted cloud-based EHR or you’re seriously considering doing so. If you fall into the latter camp, you may have some lingering reservations. Are cloud-based EHR systems truly secure? Will switching over place too much strain on limited IT budgets? How will this change my practice’s operations? Only 38% of small practice physicians report having concerns regarding security and HIPAA compliance, while 90% acknowledge that mature cloud-based EHR models are actually more secure than other relatively dated systems. This is a stark contrast to physicians still utilizing server-based EHR software, 81% of whom report having serious concerns about data breaches and theft. Moreover, 92% of physicians who have made the switch in the past six months feel their chances of a data breach have decreased as a result. This shouldn’t really be surprising — as Aine Cryts writes, “Whose security is better? Yours, as a small to medium-sized practice, or a company whose business is securing the software they sell?” While you should, of course, do your due diligence and research all of your cloud-service provider options before making a final choice, at this stage in the game, security probably shouldn’t be a top concern. Questions surrounding the costs of moving to the cloud aren’t as easily answered as those regarding security. 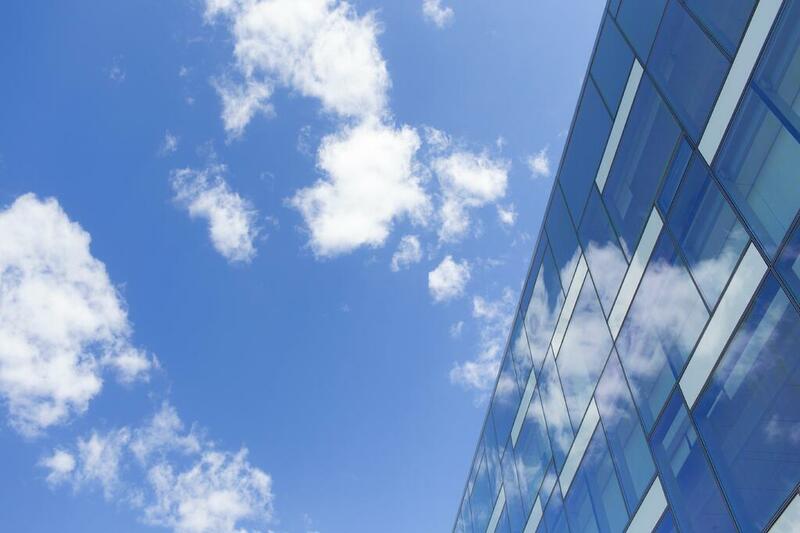 While 48% of small practices that converted to cloud-based EHR between June 2014 and May 2015 reported increased financial strain, it’s quite possible that this is simply the result of implementing a new technology or process — in other words, it’s not necessarily the cloud’s fault. Setting up a new server-based EHR system can run practices more than $40,000, on top of the costs associated with licensing, maintenance, and regular updates. Since cloud-based systems don’t require hardware installation or licensing fees, implementation is generally cheaper than the server-based alternative. The impact a cloud-based EHR system will have on your practice’s operations will largely depend on the specific cloud vendor employed. Some will respond to any reported issues within a day; others may wait a week or longer. System speed is also a concern: over 50% of recently-converted small-practice physicians are now more concerned about potential system downtime than they were before the switch. In addition to response time and server speed, EHR interoperability — or the ability to effortlessly share information between systems — is a key factor when it comes to ongoing operational efficiency. Unfortunately, most vendors still provide a sub-par experience in this regard: 91% of physicians consider poor EHR interoperability to be the largest roadblock preventing better clinical and financial outcomes. Of course, implementing any new technology comes with a variety of challenges and concerns, but medical practices switching over to a cloud-based EHR system should rest assured that doing so won’t increase security risks or operational costs. By doing a little bit of research and finding the right product for your practice, you can increase EHR efficiency, thereby making it easier to remain focused on quality patient care, rather than IT-related issues.